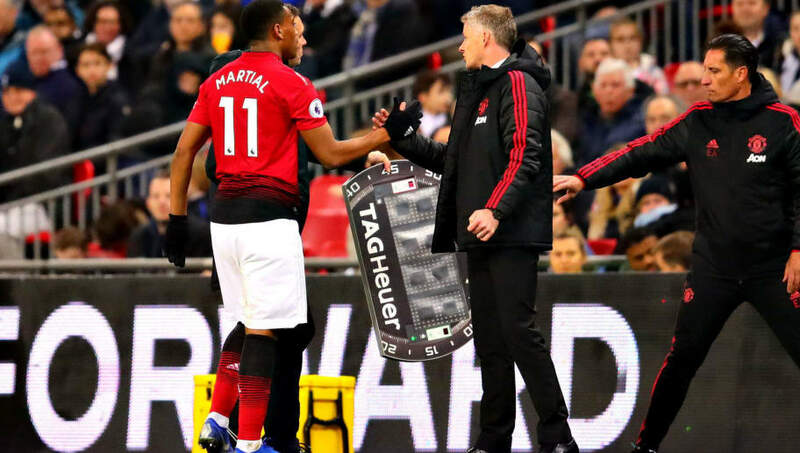 Manchester United interim manager, Ole Gunnar Solskjaer, insists Anthony Martial can reach the level of club legend Cristiano Ronaldo in the future. The Frenchman, one of the more unhappy members of Jose Mourinho's squad, has been in impressive form under the Norwegian, netting his 11th goal of the season in Saturday's 3-0 win over relegation-threatened Fulham. The youngster's solo effort saw former Manchester United skipper Gary Neville compare it with the Portuguese superstar's individual goal 12 years earlier. And Solskjaer, agreeing with Neville's observation, has challenged him to match the Juventus forward's exploits. "It was towards the end of the game and we played a very poor game and Cristiano scored it," Solskjaer said, as quoted by ​FourFourTwo. "If you look at his goal and his starting position, he is not free of defensive duties. He was in the middle of our half when we won the ball and he gets the ball 20 yards further up on our halfway line and he runs with it, so he does the defensive bit." "He knows he needs to do some defensive work but he has got some quality going forward. He is electric and his balance, his pace, everything about him. When you are a full-back, you don't want him running at you. He knows he has to defend," he concluded.